e60: Presidential Election on EOSIO in 2020. EOS VC invests in Scarcity Engine. e54: New EOS Game Studio Launching Projects Q2 | Who is Dappiness? e51 1/2: All Aboard the EOS Train! More Projects Coming to EOSIO Everyday! e47: vRam, EOS VC Invests in Proof-of-Location, and EOSIO at Universities! e46: Making Sense with EOS and Year of the dApps with Crystal Rose. e42: Block.One CEO Ignites Debate Over Vote Buying. Exclusive Interview Coming Soon! e9: What is Going on with the Mainnet Launch? 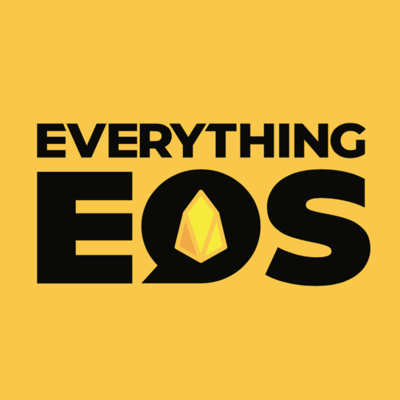 Everything EOS is a weekly podcast from ICO Alert that follows the EOS ecosystem: dApp spotlights, VC partnerships, announcements, and more!